Water Damage: How Can I Avoid It Altogether? Water damage is expensive and time-consuming to fix. There are many potential causes of water damage, but for the purpose of this explanation we are going to disregard storms, floods, and other acts of God. No one can prepare for everything that nature has to throw at them, but there are steps you can take to prevent water damage that comes from inside the home. The first thing you should be doing to prevent water damage is to maintain your appliances. Check your warranties whenever you purchase a new appliance that uses water. Some may require you to have the maintenance done by a special technician so that your warranty remains intact. Improper maintenance could void the warranty and land you in worse trouble if the appliance ever breaks. Yearly maintenance should be sufficient for most appliances. If a problem crops up, call the technician in right away. One of the biggest causes of outdoor leaks is burst pipes. This happens when a water pipe gets too cold. The water inside begins to freeze, and the expansion that comes with freezing breaks the pipe. Water escapes and can lead to both a huge water bill and a lot of damage, depending where it is in the system. Insulation can keep your pipes safe from cold snaps. Even if you live in a more moderate climate, consider wrapping your exposed outdoor pipes and the pipes under your house to be sure that they’ll make it through the winter undamaged. While you’re inspecting the pipes, have your roof and foundation inspected. 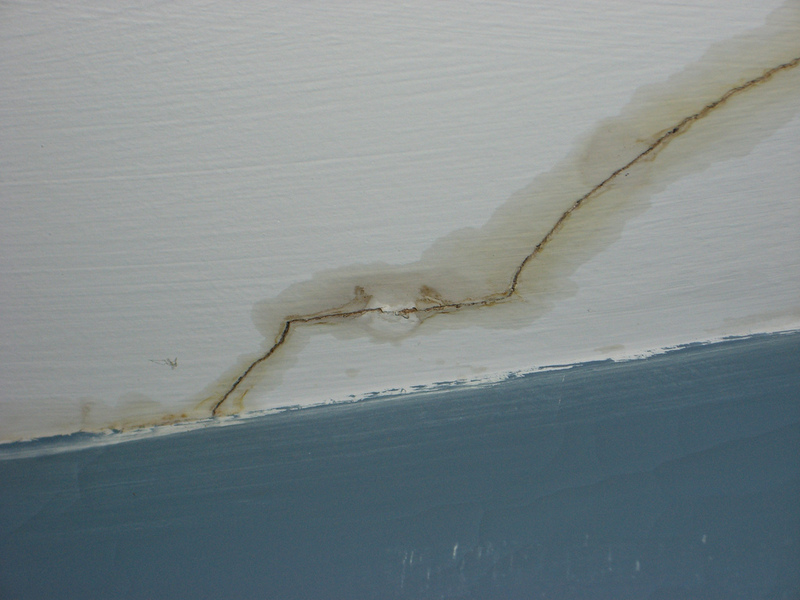 Slow leaks can fill your walls and ceiling (or floors) with mold in record time. Not only does this invite nasty molds but it can lead to rot, which makes a perfectly good house structurally unsound. This is a much bigger problem than just replacing a couple of moldy inserts or supports. Small leaks can happen without you being aware of them. By the time a leak in the roof is dripping on your head, it’s too late to stop the damage. An external inspection is required. Call to make an appointment as early in the spring or summer as you can. The end of the season is often full of people who procrastinated getting their roof inspected. Wait too long and you’ll find yourself on a waiting list. Practically speaking, you can prevent water damage by cleaning up water spills and leaks. If you notice that water is leaking, work on first stopping the leak and secondly cleaning up the spill. If you find that the leak has been going on for a while or is extensive, you should consider calling a professional water restoration team. Preventing water damage is the best way to keep your home safe, but if damage has already been done the clock is ticking to get it fixed. Inspections and maintenance are the best ways to prevent water damage. Keep your appliances in good working order, and never let a leak go until the morning. As soon as you know something’s up, start working on fixing it. You’ll be glad you did when the problem doesn’t spread.